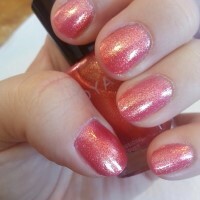 Rica by Zoya can be best described as a warm light coral with pink and orange tones and heavy gold metallic sparkle.Â An alternative to flat corals for when you want to shine. Zoya Nail Polish | RicaHello Summer! LOVE THIS COLOR! I have been using this polish very summer for the past 2 years and it always brightens up everything I wear :-) The polish is long lasting when combined with the base coat and top coat. The polish lasts for at least 2-3 eeks before I need to touch it up. 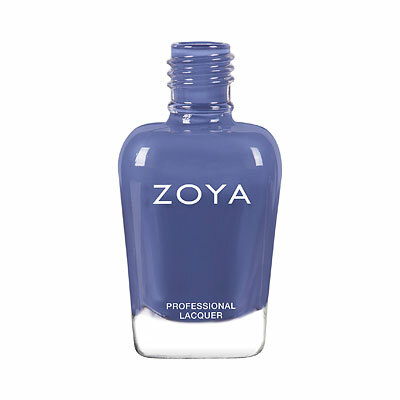 Zoya is the best nail polish I have ever used and I LOVE the fact that it is natural. Zoya nail polish is worth the money. 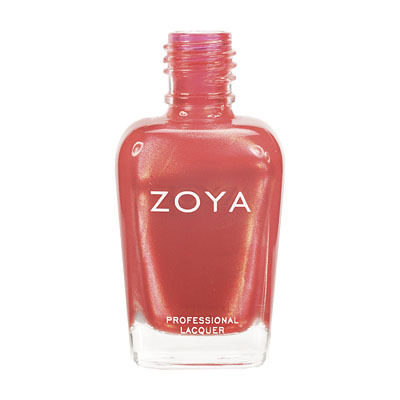 Zoya Nail Polish | RicaPerfect Fun Summer color! A great wear for summer, she`s amazing in the sun! The gold shimmers are quite heavy, so much that sometimes she looks orange, rather than coral (especially with my skin). 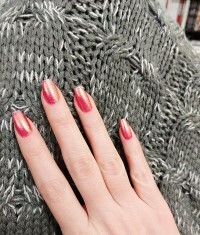 She`s also great layered over another pink polish. I love this color. It`s a light pink/ orange color with gold undertones. It reflects pink and orange depending on the light. My only complaint, and maybe it`s just my bottle, but I found Rica to be slightly messy. After I use it, I always have gold glitter everywhere and it doesn`t apply as smoothly as the other sunshine colors. I didn`t know how I would feel about Rica, but after taking her out a couple times, I just adore her. In one coat Rica is a warm, shimmery orange with strong peach undertones that is slightly transparent, and in just two coats Rica becomes a dazzling, opaque orange with a lovely gold shimmer. Applying Rica is Rica is hard-wearing and long lasting, too, because I`m an artist and very hard on my manicures, but Rica still hung on nearly an entire week. I snagged this one during a promotion and I`m so thrilled I did. It`s absolutely beautiful. I love the way it looks like and orange from different angles. It`s going to be one of my staple summer colors. I used two coats but probably could have gotten away with just one. Another awesome polish to add to my collection! Rica is gorgeous! It is exactly as described--a perfect blend of pink, coral and a bit of a coppery orange. 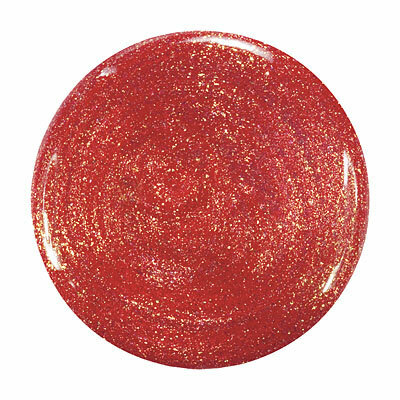 The glitter gives a warm glow, and is just the right amount--not too over the top. Covered beautifully in only 2 coats for me. Would be amazing with a tan, but it also flatters my very fair skin. Rica`s a 10! Zoya Nail Polish | RicaMy favorite from the Sunshine collection! I instantly fell in love with Rica. She`s kind of a strawberry/tangerine depending on the light and angle with TONS of amazing gold glitter. Not chunky at all, and 2-3 coats will do. Such a fun, luscious color for summer! 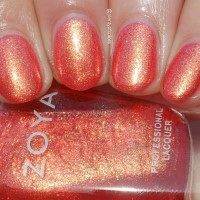 Zoya Nail Polish | RicaWhat a stunning lady this one is! Rica is absolutely mouth-watering! I had no idea whatsoever I was going to fall so head over heels for her the way I have. She is just the prettiest, most feminine and fun shade of corally pink you will ever see in a polish. Absolutely perfect for summer and hence aptly named as part of the Sunshine collection. Rica has this golden overlay of sparkly glitter that is blinding in the most jaw-dropping way possible! 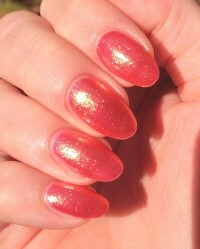 She is basically coral pink and golden glitter (though the golden glitter appears more like a golden blanket) in one. It is absolutely gorgeous and quickly shot its way to the top of my all-time favorite Zoya polishes. I love it!!! 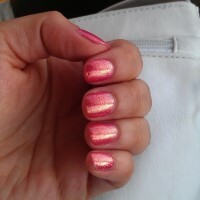 It would be awesome if Zoya came out with more like this one. Zoya Nail Polish | RicaBeautiful! Rica is one of my favorite Zoya polishes. The metallic glitter finish is so pretty! I love the pink in it and the how the orange sneaks up and surprises you. It applied easily and only needed 2-3 coats for full opacity. I also find that Rica looks great on almost all skin tones! Zoya Nail Polish | RicaUtterly Gorgeous! Rica is the most gorgous spring-summer shade I`ve ever seen or worn, and that`s no exaggeration. Depending on the light and the angle, it shifts coral-peach-pink-orange-copper-gold. Absolutely stunning, especially in direct sunlight! 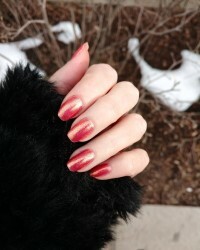 I does stain my nails, even when using a basecoat, but I`m willing to deal with that for the sake of this amazing shade! Zoya Nail Polish | RicaAmazing! This color is just phenomenal. I can`t get over it. It goes on pretty opaque in 2 coats. 3 if you want to be positive the nail line doesn`t show. At one angle, it flashes more orange. Turn the other way and it flashes more pink. It`s packed with gold sparkle that flashes a myriad of colors even on a cloudy day. I`m not typically a fan of gold glitters but the only downside to this polish is you can`t stop looking at your nails throughout the day.